You’re looking to give your store an online presence and you have great ideas on how the website should function and what it should have. But are you sure you have everything? 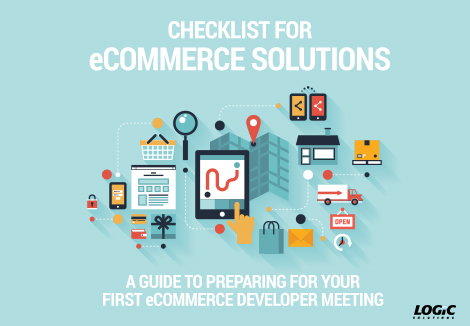 Our eCommerce Solution Checklist prepares you for your first meeting with an eCommerce developer (which we hope is us!). By helping you establish a more concrete vision of your end goal, developers can better give you an estimate of how much time and materials will cost, assist you with strategizing your eCommerce solution, and make suggestions in usability. Your first meeting will be more productive with this checklist in hand! What pages does your eCommerce website need? What features does your eCommerce site require? What internet browsers should be supported? Do you have an eCommerce platform preference (e.g. Magento, WooCommerce, Shopify)? How do the purchase, payment, and order fulfillment features function? Please fill out the form on the right and see how the eCommerece Solution Checklist will help you with your eCommerce approach.